Pharma production is a special case within industry: faulty production or labelling in most cases leads to direct bodily injury and loss of life. Automated production is designed to ensure that medication is produced correctly. Of course, it is necessary to monitor such production with the help of visual automated processes. Cameras constantly check the purity of input materials, the composition of ingredients and the correct dosage, and the blistering for packaging. During packaging, complex track-and-trace systems ensure that medication can be traced and tracked from the input materials through to production and to the pharmacy – and once again, cameras check the correct packaging at each distribution stage. Image processing reads the product and batch numbers, expiry dates and then compares the visually captured information against the database entries. SVS-Vistek cameras have been monitoring medication production many years and ensure first-rate pharma quality. 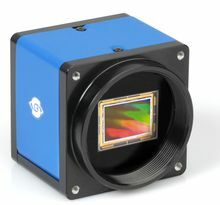 Cameras from SVS-Vistek feature fast state-of-the-art sensors and high-performance interfaces. They can be found in many monitoring systems that are used in pharmaceutical production. There is a trend in tracking and tracing towards more flexible, higher-resolution systems. 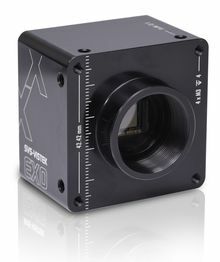 The EXO with its GenICam liquid lens control or the Tracers with their focus and zoom capabilities are well-suited for this purpose.